Proust was a Neuroscientist by Jonah Lehrer sat for several years on my bookshelf (the one that is, unfortunately, gravitationally challenged and is sagging precariously) waiting for its chance to get cracked open. That finally happened during those luxurious, divinely isolated hours you get when you fly cross country. Using his experience of working in a neuroscience lab as a lens, Lehrer explores the neurological insights to be learned from a number of artists including Walt Whitman, George Eliot, Auguste Escoffier, Paul Cézanne, Igor Stravinsky, Gertrude Stein, Virginia Wolf and of course Marcel Proust. This is Cézanne’s genius: he forces us to see, in the same static canvas, the beginning and the end of our sight. What starts as an abstract mosaic of color becomes a realistic description. The painting emerges, not from the paint or the light, but from somewhere inside our mind. We have entered into the work of art: its strangeness is our own. Cézanne discovered that visual forms—the apple in a still life or the mountain in a landscape—are mental inventions that we unconsciously impose onto our sensations. 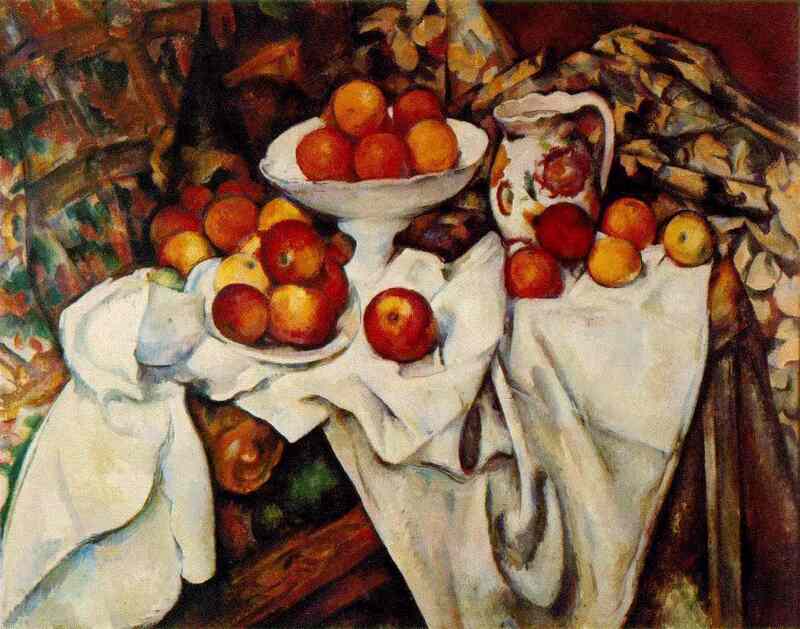 “I tried to copy nature,” Cézanne confessed, “but I couldn’t. I searched, turned, looked at it from every direction, but in vain.” No matter how hard he tried, Cézanne couldn’t escape the sly interpretations of his brain. In his abstract paintings, Cézanne wanted to reveal this psychological process, to make us aware of the particular way the mind creates reality. His art shows us what we cannot see, which is how we see. Since publishing Proust in 2007, Lehrer has just released his second book, How We Decide. Once again he approaches the quotidian with a scientist’s eye. In an interview he claims that the idea to write this book came partly from his indecision in the cold cereal aisle at the grocery store. The plethora of Cheerios choices stumped him repeatedly. So researching how the brain makes decision seemed like a good idea, for him and for the rest of us. I was about halfway through writing the book when I got some great advice from a scientist. I was telling him about my Cheerios dilemma when he abruptly interrupted me: “The secret to happiness,” he said,”is not wasting time on irrelevant decisions.” Of course, this sage advice didn’t help me figure out what kind of cereal I actually wanted to eat for breakfast. So I did the only logical thing: I bought my three favorite Cheerios varieties and combined them all in my cereal bowl. Problem solved. In spite of the fact that most of the photographs of Lehrer suggest he is all of about 17, I’d say he’s got some serious sage potential. The sentence that sticks most in my mind: “His art shows us what we cannot see, which is how we see.” Reams could be written about that. I’ve been reading lately about science-art relationships. Yesterday I posted a bit about Tom Shannon and how he’s devised a means to continue painting even though he cannot control his hand because of Parkinson’s. He’s a sculptor and inventor, too, and particularly drawn to what’s invisible to us (gravity and so on). My friend the artist Rebecca Kamen creates works steeped in science (the art of science, the science in art) that are extraordinary. Lehrer’s solution to his Cheerio fix made me laugh. His story also reminded me of a Jamaican friend’s first foray into an American grocery store. She was so dumbfounded by the choices and quantities of foods available she could not bring herself to buy a thing and ever after sought out small corner markets.